A present generation always looks for free tools which help in all possible ways. 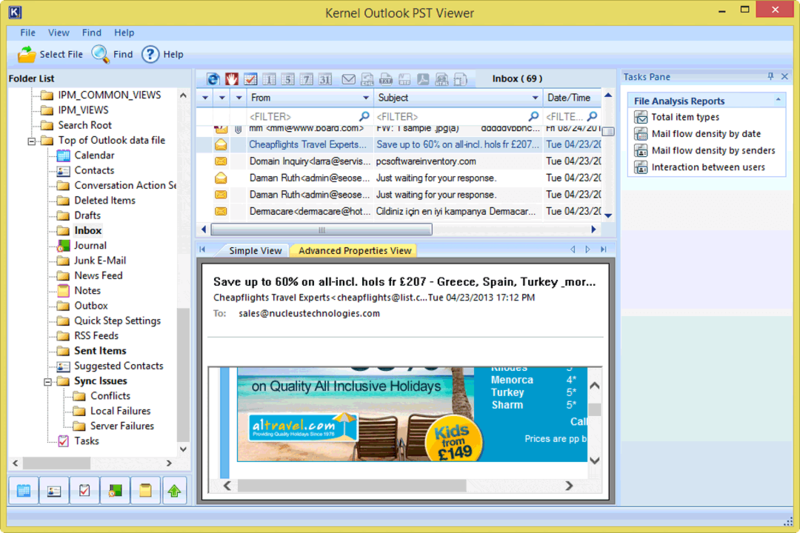 Kernel introduces a wide range of free tools which are available and helps in viewing emails. The kernel has PST viewer, EDB viewer, OST viewer, MBOX viewer and OLM viewer all these tools are free to use. You need to download them and use it. All these tools can view damage and corrupted files of your email client. Opens and access data of healthy and damaged PST files. Opens all folders and data with complete hierarchy & structure. Scans and open email attachments and deleted items. Allow the user to view data of password protected PST file too. Also, open those PST files which are damaged due to 2GB issue. An easy way to access PST files data without the need for MS Outlook. Rated high on the top comparison websites (www.comparecamp.com) for its features and functionalities. 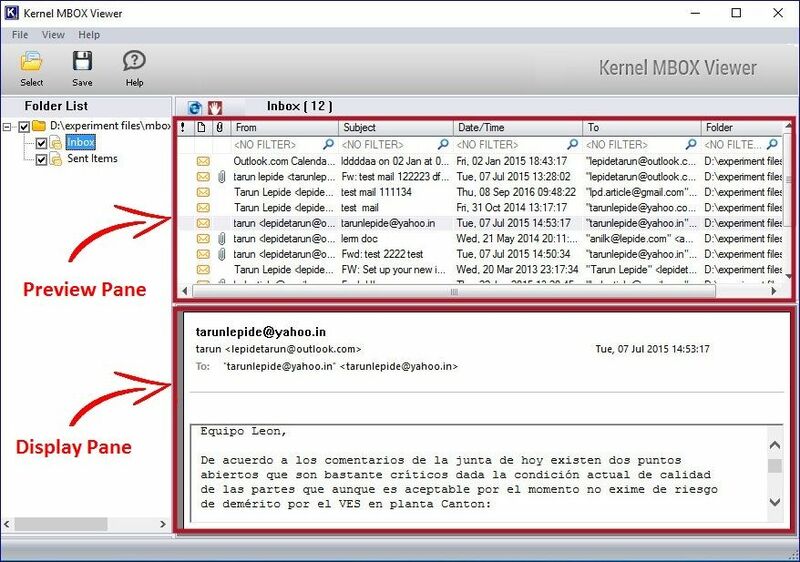 This kernel Exchange EDB Viewer is a free tool that can open harshly damaged and corrupted Exchange server files. Sometimes Exchange Administrator wants to access some damaged EDB files and looking for a tool which can freely help to access it. At this point, Exchange EDB Viewer is the reliable one. This tool is free to use, and you can access data of healthy and damaged EDB files. No need to install another supportive tool, its standalone utility to open EDB files. 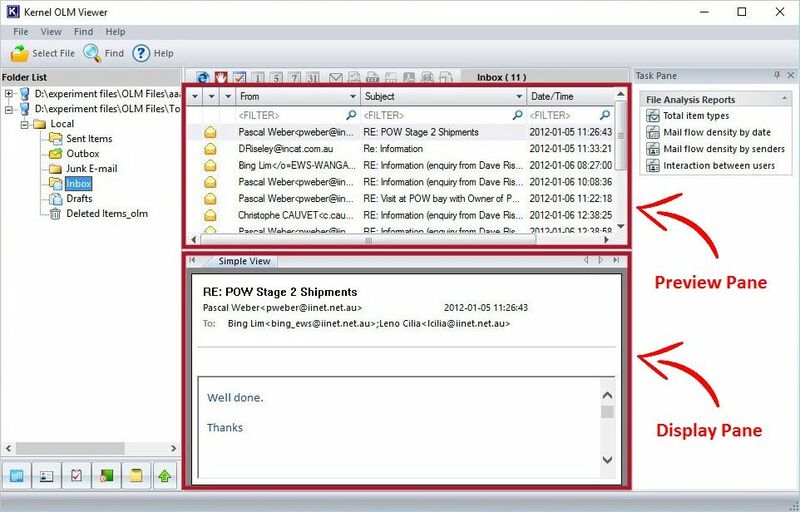 Allow you to open and access complete mailbox data and public folders of users. Generates a quick preview of entire EDB data after the scanning the whole file. You can search EDB file in system hard disk with inbuilt search option of the tool. Enabled with two scan modes- Standard and advanced mode for better access. Scans and opens healthy and damaged OST files quickly. Allow you to access OST files without Exchange connectivity. Display entire OST mailbox data include emails, contacts etc. The tool can copy & print email list in TXT and HTML format. Easy to use and self-descriptive tool for technical & non-technical users. Kernel MBOX Viewer is a uniquely designed tool to opens MBOX files quickly. With the use of this tool, you can open damaged MBOX files without paying anything. With the use of this tool, you can view single as well as multiple MBOX files in a single attempt. Some prominent features of MBOX Viewer tool are stated below. Supports and preview more than 20 MBOX email clients. Apply inbuilt filters to segregate data in different folders. Enabled with Add files & folder option for multiple files. Secures entire hierarchy, structure & properties of the mailbox. The tool allows you to save retrieved Email list in HTML format. Kernel for OLM Viewer is an advanced tool that can open Outlook for Mac files. Users are using Outlook for Mac can open and access their Mac files in Windows Operating system without hassle. OLM Viewer tool is available at free of cost; you can download it can use it without any issue. Some brilliant features of this tool are stated below. The tool allows you to access Mac files in Windows Operating system. View data items of damaged and healthy OLM files quickly. Enabled with inbuilt find option to search any specific email. Generates a file analysis report to give information about OLM files. The tool is entirely free of cost you do not need to pay anything for it. All the above-mentioned tools are free and best email viewer tools. With the use of these tools, you can view your damaged and corrupted data & access them anywhere. These tools are uniquely designed to access PST, OST, MBOX, EDB and OLM files. You can view your files with these tools, without paying anything.